Giebelstadt, Germany, January 17th 2019: Time to bomb your friends, fight off some aliens or steal the honeycumbs from a bee! What on earth has this to do with a Kite game? Find it out on February 8th, when Stunt Kite Party arrives on Nintendo Switch. Featuring a full single-player story mode as well as four player local co-op, you can play 10 crazy game modes, create your own tournaments and show who’s the best kite pilot. Ever. 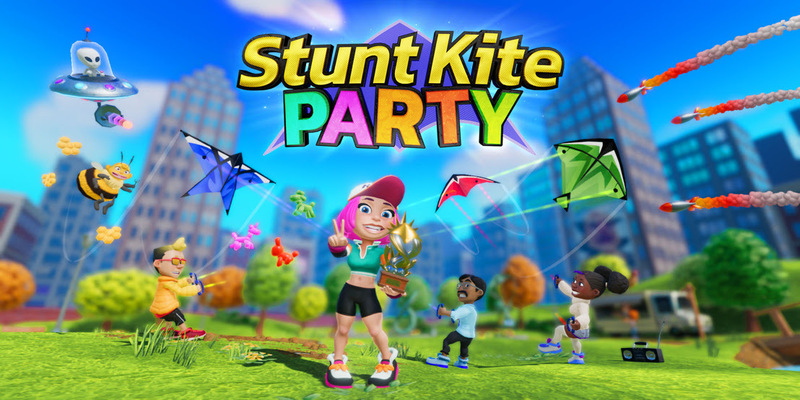 Stunt Kite Party is developed and published by HandyGames. It will be available on Nintendo Switch on February 8th, 2019 for £8.99 / €9.99 / $9.99.